'Early Celtic art' - typified by the iconic shields, swords, torcs and chariot gear we can see in places such as the British Museum - has been studied in isolation from the rest of the evidence from the Iron Age. 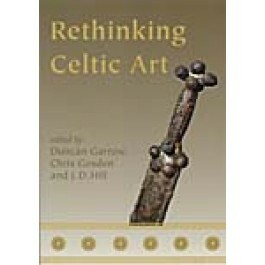 This book reintegrates the art with the archaeology, placing the finds in the context of our latest ideas about Iron Age and Romano-British society. The contributions move beyond the traditional concerns with artistic styles and continental links, to consider the material nature of objects, their social effects and their role in practices such as exchange and burial. The aesthetic impact of decorated metalwork, metal composition and manufacturing, dating and regional differences within Britain all receive coverage. The book gives us a new understanding of some of the most ornate and complex objects ever found in Britain, artefacts that condense and embody many histories.